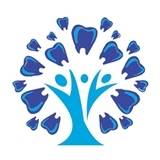 South End Dental Center (Stamford) - Book Appointment Online! Welcome to our dental practice where dental care is personal. We don't just treat the teeth but we make a plan that is customized to the person behind the smile! We will provide you with a comprehensive understanding of your teeth and develop a treatment plan that fits your need. This is my second review for this doctor. And I truley want to take the time and effort to recommend this Doctor to all of those who may be looking for an excellent knowledgeable dentist in town. Every visit has been spectacular. Theres hardly any wait in the office and the staff is phenomenal. As far as the service of the doctor I could not have expressed it more about his performance. He takes time and pride in all his work. I personally couldn't stand the dentist office for I have very sensitive teeth. But this doctor has changed my life around. He explains all procedures thoroughly. My last visit which was actually this morning for a wisdom teeth extraction was some what of a miracle. I felt absolutely no pain, and before I knew it I was fully recovered. I want thank him and if there's anyone looking for an outstanding dentist this is the place Togo.